Web hosting and server technologies have undergone numerous changes over the course of time. Hyper virtualization was used for a long time to offer hosting services until its replacement with the faster container based virtualization. Container based hosting allows multiple applications to be run concurrently under the same Operating system and through a singular kernel. Docker services have implemented container based hosting. Docker as an open source software provides an automated deployment of the Linux applications running within the containers. Docker hosting uses a type of virtualization that links the operating systems running requests through a singular kernel. The containers obtain the required resources to run the applications from the core connecting them to the internal hardware. This feature makes it possible to run multiple applications with different operating systems under the same kernel. Individual containers are initiated from docker images which are customizable and easily distributed. They do not require separate operating systems. Each container can run an application without having to run its own operating system. The containers are therefore directly linked to the kernel of the machine which uses a single OS to execute the multiple containers. Docker hosting uses containers to run its applications. By so doing, it allows the available resources to be utilized effectively depending on the requirements of the requests. Although multiple containers use the same kernel, each container can be forced to use only a set amount of memory, CPU or network. The creation of highly distributed systems is simplified because many applications are run simultaneously on a single machine even though it maybe run through multiple virtualization machines. Since the resources are isolated, additional containers are set to run with the remaining unused and available resources. Docker provides a very secure environment for running applications. It does this by ensuring that containers running applications are completely isolated from each other. A container cannot read or look into processes inside another container. This feature is possible since each container obtains its resources separately from the others through its processing requirements. Additionally, it limits the number of times the system calls to the Host OS. Exchange of information in a container can be done quickly and securely by using a remote repository. This repository can either be public or private. An application and all the required files can be brought together in a container which is then transferred to a different machine running the docker service without having to worry about compatibility issues. 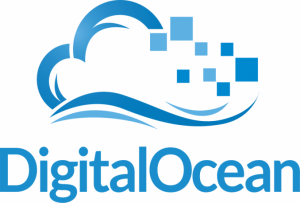 Digital ocean is a provider of web hosting services that uses a graphical user interface. This feature simplifies the process of creating a droplet based on the Docker Application and makes it user-friendly. Sloppy.io provides hosting services by applying both a Command Line Interface and a Graphical User Interface. The applications are created using a JSON file. Its main advantage is that it allows you to set machine specifications thanks to the Mesos integration. Amazon Web Services is the biggest provider of cloud hosting services. It uses both a Command Line and Graphical user interface. It offers support for Docker services across its multiple EC2 machines. They also provide the container, storage, and scaling services. A cloud hosting service provided and backed by Google. They provide services to most container-based infrastructures. Their applications are created by code produced and hosted by Google’s cloud. Docker Hosting services has revolutionized the web Hosting landscape, thanks to the container based infrastructure.